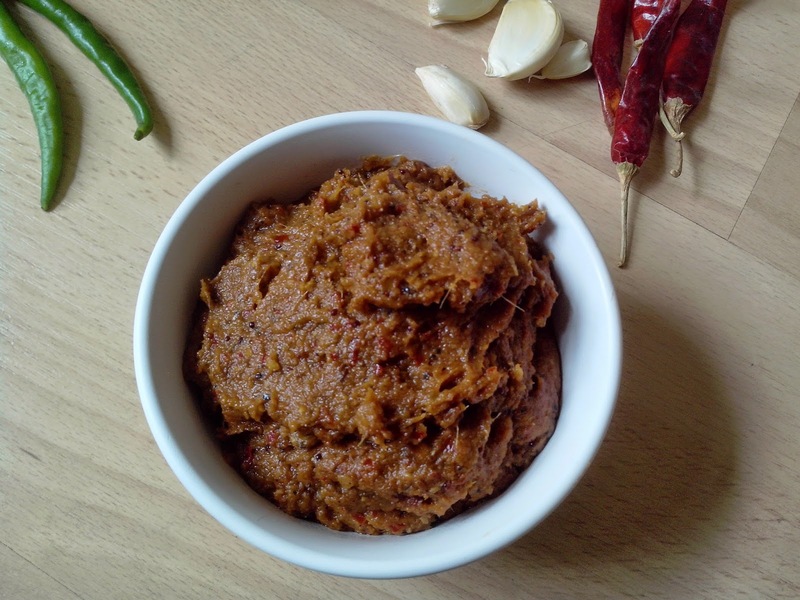 Pavi's Platter: Allam Pachadi / Inji Thokku / Ginger Pickle ! 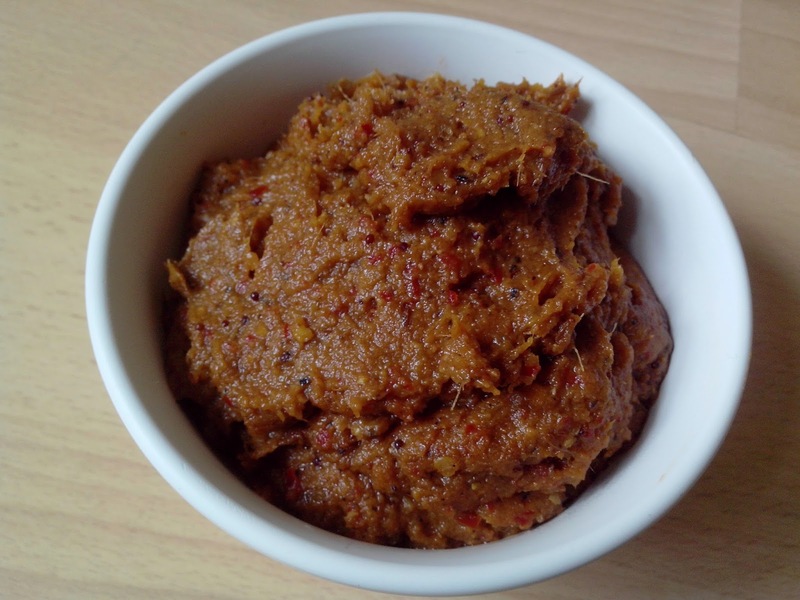 This Allam Pachadi is not the usual chutney we make with onions and tomatoes along with Ginger as a sidedish for Idli / dosa.. Those chutneys wont have more shelf life and you will have to finish it on the same day or two. But this pachadi / thokku without onion or much water stays upto ten days if stored well and refrigerated properly. Ginger being a good medicine for cold and throat problems can be consumed in this form for winter other than the usual ginger tea. My dad loves this and often asks me to make when i visit home. 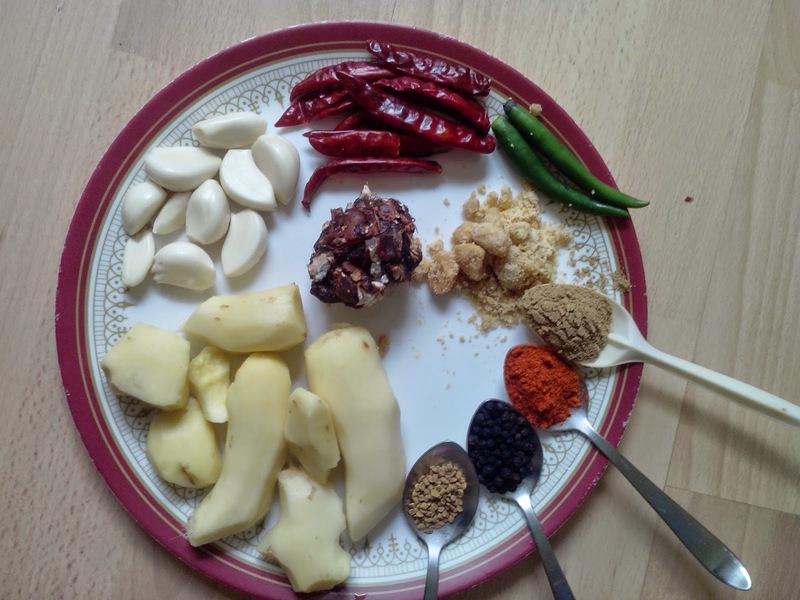 Grind all the ingredients together (except Jaggery). Then add the thick tamarind paste and salt and again grind it to a nice paste. In a pan add 3 - 4 tbsp oil , and add jeera, mustard and hing. Once mustard splutters add the ground paste and start cooking it. Do not add any extra water anytime. It will take around 8 - 10 minutes for the mixture to cook and for the raw smell to fade. Once cooked well, the mixture starts leaving oil on the sides. Adding more oil gives a more shelf life. Once cooled transfer to clean and dry container.. you can store in fridge for 7 - 10 days. 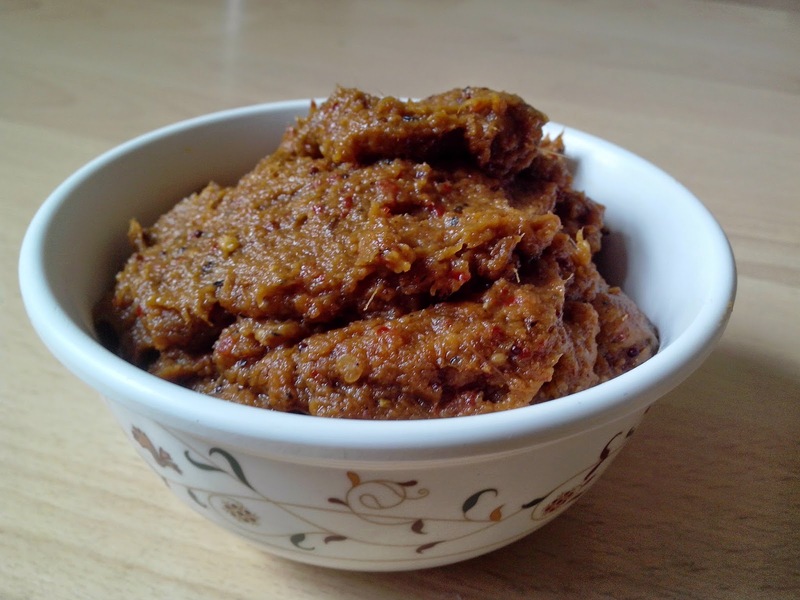 Serve with rice, idli/dosa or just an accompaniment for variety rice.